SayWhatNews: Good morning Big Spence. Thanks for taking the time and speaking with SayWhatNews. First tell us who is Big Spence? Big Spence: Big Spence is a regular guy with dreams to change the world. 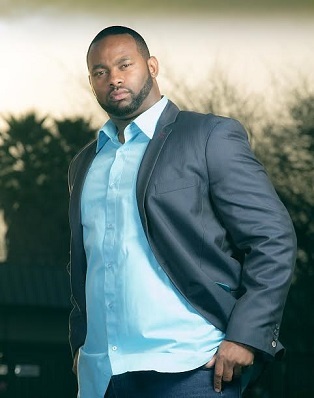 Big Spence is a God fearing, loving father, hard worker, humanitarian who thinks more through his heart than his brain. Big Spence is a thinker, a man that values education and a man who goes in to fix problems instead of complaining about them. Big Spence is a born teacher, a man that loves to sing and play Sudoku. SayWhatNews: Now, at a young age and being one out of six kids (all boys) you became "a ward of the court" and then your grandmother stepped in and raised you. With so many obstacles at such a young age, how did you overcome and decide to take control of your life? Big Spence: From an early age I knew what I did not want my life to be. My grandmother was and still is an amazing woman that I don't see nearly enough these days. My grandmother kept me so busy with activities that I didn't see all of the obstacles that were there until now as grown Big Spence, I look back at the fact I was in sports (basketball, football, baseball, track), band (trumpet, snare drum, congas) and even sang. I guess the saying is true, "an idle mind is a devil's playground," and my mind was always engaged. I knew that grades were important but even more was knowledge. I knew what I didn't want out of life from a young age so my job was to have a better life than what was expected. SayWhatNews: At the age of 16 you started acting with local theatrical productions. What inspired you to become an actor? Big Spence: My first time acting was at the age of 12. I was in a D.A.R.E. program at my school in 6th grade and the officer over my class asked the class to come up with a 10 min skit for the D.A.R.E. Graduation. Of course I was the one that wrote it and I was the lead in it... The skit was about bullying and peer pressure. Later in my high school years I came back to acting as a way to get an easy A. Whenever I had a group presentation in English or History I'd get my group together and we'd act whatever the material was on tape. When it was time to present to the class we would show the video and I'd always get an A. My grandmother was also a theater performer when I was young. She would sometimes walk around the house and for no reason break out in a rehearsed monologue for no reason. She would really grab your emotions and that's what inspired me. I wanted to make people feel things. SayWhatNews: Your real name is Marcus Spencer. So how did the name Big Spence come to be? Big Spence: I was always an athlete and I played competitively through school. My last name is Spencer and that's the name that was printed on the back of all of my jerseys. People from all over just called me 'Spence' for short. Once I reached adulthood I decided to play semi-pro football (Bay Area Assassin's) so I gained a lot of mass. After football I chose to start acting and my first set starred Will Smith (Pursuit of Happyness). After meeting Will he asked my name, I replied "everyone calls me Spence." After hearing the reasoning Will then called me "Big Spence" and the name stuck I guess you can say Will christened me with the name. SayWhatNews: So your first film was ‘The Pursuit of Happyness'. What was it like working on a major production film with Will Smith? Big Spence: Working with Will was a great experience. I think if the experience hadn't been as amazing as it was I probably wouldn't be acting today. The beauty of working on that particular film was it was also Jaden Smith’s first film so everything Will was teaching Jaden, he was also teaching me. Will also answered questions that I asked; it was a very friendly set. I learned how to talk to a director (teachings were directed to Jaden). Will told me to always give the editor things to choose from and many other tips that I still use today. SayWhatNews: Big Spence, you have worked alongside some very talented actors like Brad Pitt (Moneyball), Terrance Howard (On the Road) and David Duchovny (Californication), just to name a few. How amazing is it for you to watch first hand your dreams coming true? Big Spence: For me it's a wonderful thing to do what I love and work with many people that I grew up watching. I've received advice from many, so what's more amazing for me is to pay it forward. I love helping others and I figure, I've had so much help from people who didn't know me... How could I not help the people around me? Watching people that I've helped thrive; now that's amazing to me. SayWhatNews: Vince Vaughn, who is an established Actor/Producer/Director, gave you some sound advice about how to overcome the stigma of being too tall to be a leading male actor in a film. Tell us about that moment and what was the advice he gave you? Big Spence: Prior to working with Vince my acting coach (Tom Blank) and I had a talk. Tom told me I needed to gain weight or lose weight... He said I was too 'big' to be the leading male and too 'small' to be the Big Goon. He told me the "unwritten" rules about size. When I met Vince I asked him how he became a lead, due to the fact that he's taller than the average lead. He told me that he produced his first film (Swingers) and made himself a lead. From then on, people saw his talent not his height. He advised me to make myself a lead then people will believe. SayWhatNews: With your acting hat on, what actor/actress would you love to work with and why? Big Spence: I would love to work with Mathew McConaughey, Denzel Washington, Meryl Streep, Sandra Bullock, Viola Davis and many more. I think all these that I named are great at what they do; it's all about the choices that people make. SayWhatNews: Besides working on films, you have also worked on the small screen for example: ‘Brooklyn Nine Nine', ‘Shameless' and ‘True Blood'. Which do you find more challenging, film or TV? Big Spence: I think TV is more challenging. The acting is very different due to time constraints. For film you have the power to stretch your lines on a show, you talk much faster, the pauses are shorter between sentences as well. Your job is to get everything in the show within 30mins so very often the conversation feels rushed and unnatural. SayWhatNews: In 2010, you started your own production company, ‘Touch The Heart Productions' a.k.a. T.T.H. Productions which is a Christian based film company. What inspired you to start a Christian based film company? Big Spence: It's a Christian film company not 'Christian Based.' I only correct that because the films will not all be rated G and characters in my film will not always live happily ever after. God will be in every film and the films I create will have messages but will also be true to life. I started the film company to first make me a lead however, I prayed over the company when I started and I knew God had to be in every film. Secondly, I knew if I owned the company then I would have the ability to put out the messages that I wanted to get out. It's great being able to control content. It's a Christian film company because a Christian owns it, ME. SayWhatNews: Big Spence you teamed up with Michael Fredianelli to help bring your vision to the screen. How did this partnership come to be? Big Spence: I was talent on a previous film that Michael Fredianelli wrote, directed and edited "Money For Angels" I saw how great that film came out so I contacted him and offered him a job. This film would definitely not be the same without his expertise. Fredianelli was my director of photography and the editor for "Set Me Free". SayWhatNews: Your independent film, ‘Set Me Free' recently premiered at the Oakland International Film Festival. What was that experience like? Big Spence: Having "Set Me Free" premier at the Oakland International Film Festival was a great accomplishment especially since the film was shot primarily in Oakland. It also had a world premiere, red carpet and all. I'm glad it was able to screen there in the city I was born and most of the cast were able to attend. 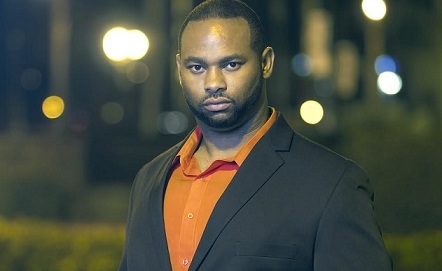 SayWhatNews: Big Spence you are an actor, writer, producer and director. When do you find time to relax? Big Spence: To relax I talk and teach my children. I relax when I see a light bulb go off in their heads, I love learning and I love even more that they love learning too. I go swimming for relaxation, batting cages, golfing, working out, gun ranges, plays, singing... Definitely singing, and roller coasters, I love them too. Big Spence is a regular guy that likes regular things. SayWhatNews: What's next in the future for Big Spence? 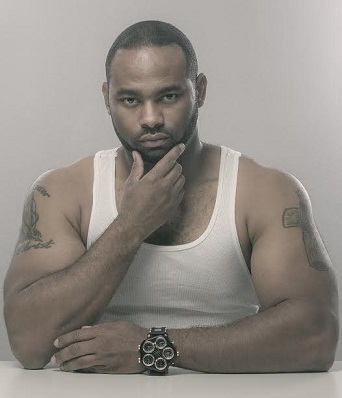 Big Spence: Currently "The American Dream", another film I wrote, produced and starred in is gearing up for a July screening I am also working on a couple future projects. In between time I'm working as an actor in many other television and film projects.